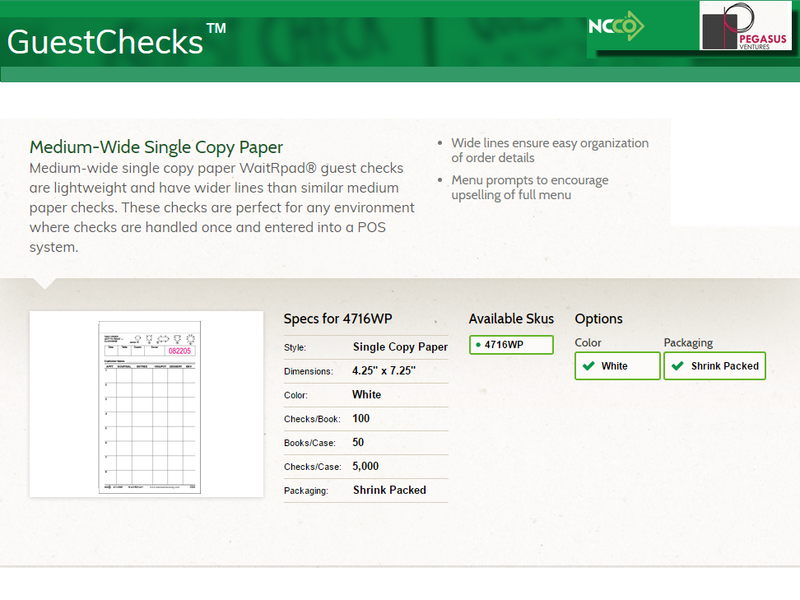 4716WP Medium-Wide Single Copy Paper Waiter pads from National Checking Company distributed by Pegasus Ventures. Medium-wide single copy paper WaitRpad® guest checks are lightweight and have wider lines than similar medium paper checks. 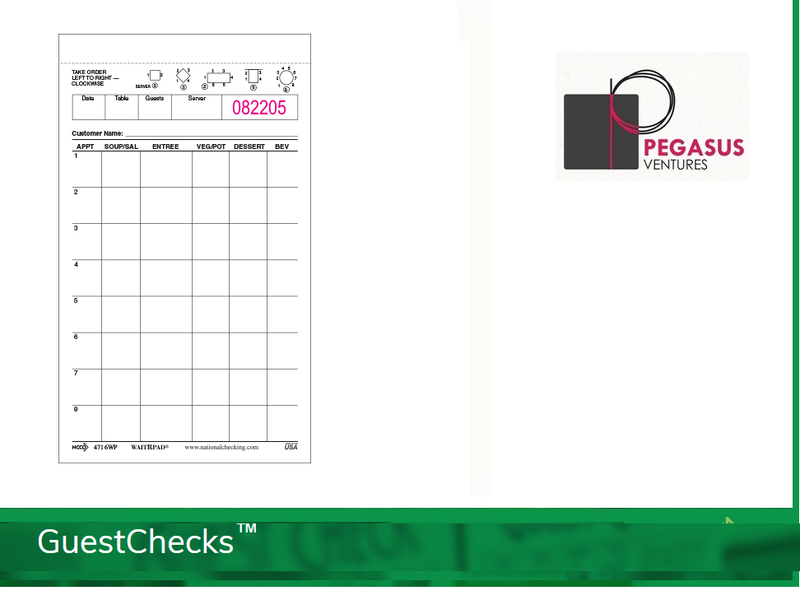 These checks are perfect for any environment where checks are handled once and entered into a POS system. Wide lines ensure easy organization of order details. Menu prompts to encourage up selling of full menu. The 4716WP waiter pad comes shrink wrap packed in cases of 5,000 restaurant guest checks printed on bond paper. 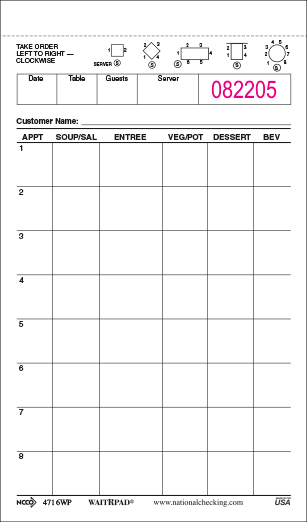 Looking for a guest check holder for the 4716WP waiter pad? The AL-400 works great with these restaurant guest checks from National Checking Company, see it below as a related product!